As more and more cars get more and more features, possibly leading to self-driving cars, transportation experts said driving data is like oil. News4's Adam Tuss reports. The Virginia Tech Transportation Institute wants drivers to use one of their cars instead of their own car as part of a research study. Researchers are hoping to get people in their cars so they can find out how people drive in the D.C. metro area. The cars are heavily wired up and require a commitment of four weeks, but they will pay drivers $500 to do it. Eric O'Connor said he is already being tracked. He has an insurance policy where a device is put in his car to see how safe he is behind the wheel. “We've got one of those sensors that the insurance company can tell you how fast you are taking turns. Are you speeding? It makes your premiums lower," O’Connor said. Due to privacy issues, Virginia Tech won’t say who is taking part in the study. They said there are specific requirement for those who want to participate. As more and more cars get more and more features, possibly leading to self-driving cars, transportation experts said data is like oil. Everyone wants it. The Virginia Department of Transportation has sensors on some roads, collecting info from vehicles in its own study. 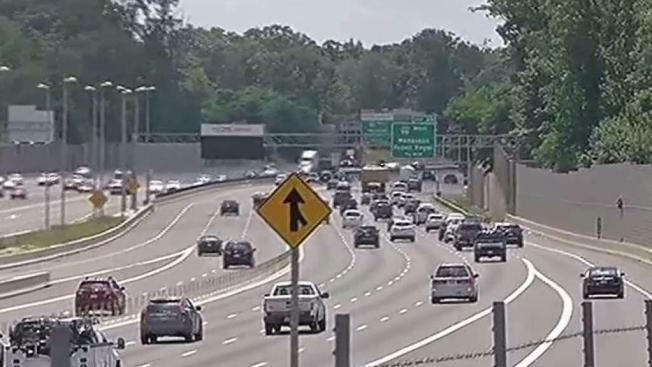 “It’s on Interstate 66 and the parallel routes on 29 and 50,” said Cathy McGhee, director for the Virginia Transportation Research Council. “We also have a few devices on Route 7." For those who want to participate in the story, go to the Virginia Tech Transportation Institute webpage and select The Deluxe Study.